In recent years, Vietnamese growth has reached record heights, recording a 7.01 percent rate of growth in the fourth quarter of 2015 from a year earlier, according to data released by the General Statistics Office. Driving these gains has been a strong uptake in Foreign Direct Investment (FDI), which surged to a record of US$ 14.5 billion in 2015. 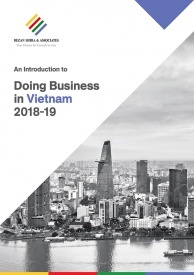 According to Nguyen Tan Dung, Prime Minister of Vietnam, these “figures indicate that Vietnam has become a destination of choice for foreign investors”. 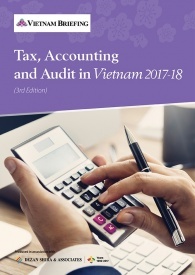 Among a number of rising sectors in Vietnam, manufacturing distinguishes itself with the largest share of the total investment received. In 2014, FDI projects licensed represented US$ 15.5 billion out of a total amount of US$ 22 billion, that is to say 70.72 percent of new FDI. This success is sustained by low labor costs and a growing consumer market. The labor force (over 15 years old) amounts to more than 53 million people and remains cheap. In 2015, the average monthly wage in the manufacturing sector was around US$ 190, much lower than Malaysia or China (around US$ 650) and lower than its neighbors Thailand, the Philippines, and Indonesia. 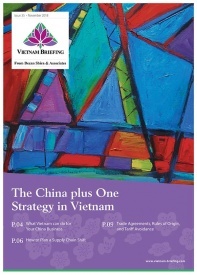 Furthermore, Vietnam benefits from a favorable political environment. The communist government has eased restrictions on foreign investment and is slowly opening its borders. Through incentives, the state has established priority sectors such as manufacturing of high-tech products, research and development, knowledge-based services, processing and manufacturing, and infrastructure projects. It has also created priority geographical regions, with difficult social and economic conditions, and more than 299 industrial zones (IZs) and export processing zones (EPZs) as of July 2015. Thanks to these competitive advantages, Vietnam has been considered as a reliable substitute to China. Nevertheless, some manufacturing sectors are more vigorous than others. 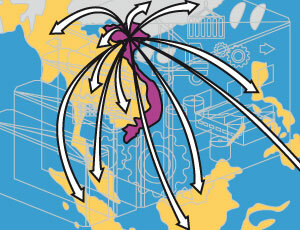 Thanks to its central location in Asia and proximity to regional shipping routes, many manufacturers entering Vietnam are export focused. Foreign investors can benefit from many incentives and under many circumstances can be exempt from import duties on goods brought into the country for their own use if they cannot be procured locally. This includes all equipment, machinery, components, and spare parts for machinery and equipment, raw materials, inputs for manufacturing, and construction materials. It should be noted that most export duties are also exempt. Textile and garment production is a well-known success in Vietnam, and will likely continue to be as it is propelled to new levels by the forthcoming Trans-Pacific Partnership and its reduced tariff barriers. In 2015, the industry provided employment to 2.5 million people working in 6,000 factories, and is expected to grow at a rate of 12-14 percent per year from 2015-2020. 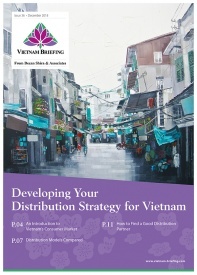 However, Vietnam does not intend to remain stuck in low value-added production. 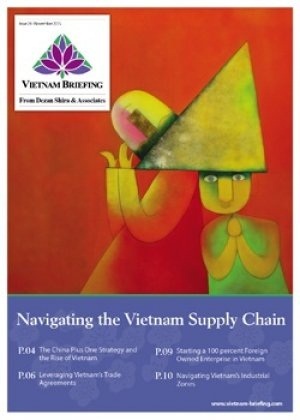 Lately, automotive manufacturers and shipbuilders have also closely considered Vietnam. For instance, Damen, a Dutch shipbuilding firm, opened a new brand, Damen Song Cam, through a joint venture yard in Vietnam. According to their website, this yard should produce 40 ships per year, employing more than 2,500 employees directly and 5,000 indirectly. Moreover, Vietnam has been extremely welcoming towards FDI in electronics, expanding its exports to US $1.6 billion during the first two months of 2016, according to Vietnam Customs. 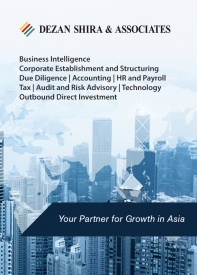 Electronic giants are relocating in Vietnam, evidenced by Intel, Panasonic, and Microsoft. The country is still seen as highly corrupt, ranking 112th out of 177 countries by the Transparency International Corruption Perceptions Index in 2015. Furthermore, the legal environment remains complex, with a slow and bureaucratic government, restrictive labor policies, and land use limitations. 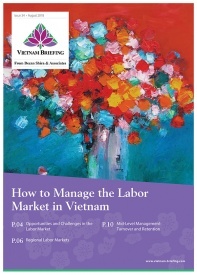 Nevertheless, Vietnam keeps on restructuring its decision-making process and introducing more laws favorable to FDI. For instance, it has recently opened its real estate market to foreigners, as well as ironed out some caps in public companies, allowing foreign investors to invest in its promising industries.